Fortnite has had a lot of updates since its initial release of the battle royale mode, which overtook the main game mode,Save the World. In this game, it’s an all out brawl in which 100 players drop on a map and fight each other to become the last man (or team) standing. With the ability to build, it can be hectic with giant build battles between two people. The new season of Fortnite is “supers” themed, with new skins, dances, along with a map update. 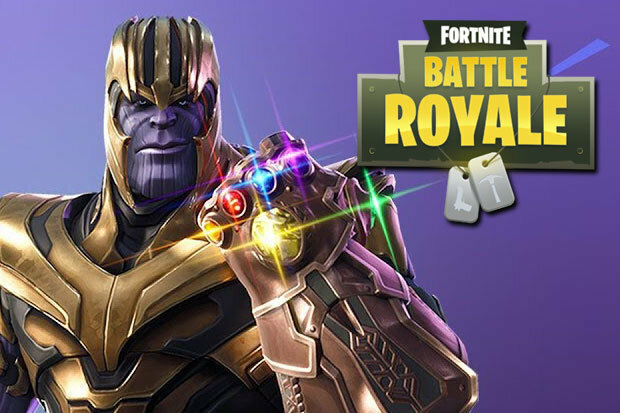 The big hype though is regarding the surprise collaboration coinciding with the release of the new movie Avengers: Infinity War, Fortnite had to follow up with a new gamemode that is yet to be released. In this Avengers crossover gamemode they’ve added the infinity gauntlet as a new weapon. The gauntlet is dropped onto the map at the beginning of the match and finding it turns you into Thanos himself and you get to wield the infinity gauntlet. You get four new abilities by wielding the gauntlet, the first being a mighty punch that knocks people back and allows for easy destruction of buildings and other structures. The second ability from his arsenal is Thanos’ mighty jump, enabling one to get over large obstacles and get on top of people that are trying to build structures to stop Thanos. The problem with the jump is it makes Thanos immobile since he has to charge the jump. This leads into his third ability, the grand slam. This can only be activated in the air, allowing for Thanos to cover large distances in a short amount of time. Thanos’s final ability is the power beam. This is his only ranged attack, but is his most devastating. Instead of the regular 100 health and 100 shield you can get normally. Thanos gains a massive 700 health and 300 shields bringing you to a whopping 1000 total health. Thanos can’t use a healing item for a shielding item like other players in the game. He can instantly regenerate his shields on every takedown he gets. Likewise his health cannot be regenerated, making Thanos a force to be reckoned with. If you manage to takedown Thanos, he drops the infinity gauntlet and any other person on the map can grab it and become him. This game mode is fast paced and hectic while fighting Thanos, and can be an all out brawl for anyone who wants the infinity gauntlet. When the gauntlet spawns in, it falls from the sky and everyone gains a way maker to the gauntlet, putting an instant danger zone for anyone who dares to go after it.. When someone become Thanos, all players are alerted and Thanos’ health bar is displayed for everyone to see. This also turns the game into a larger version of one for all, yet also still free for all. Normal enemies can (and do) still fight each other or choose to deal with Thanos. With this new update, it felt like a completely new game.